The Bajaj Dominar 400 is all set to get a major update and should be launched in the next few months. A new video reveals some of the changes that the new Dominar will get. The Bajaj Dominar 400 has done well for the company ever since it was launched in 2016. 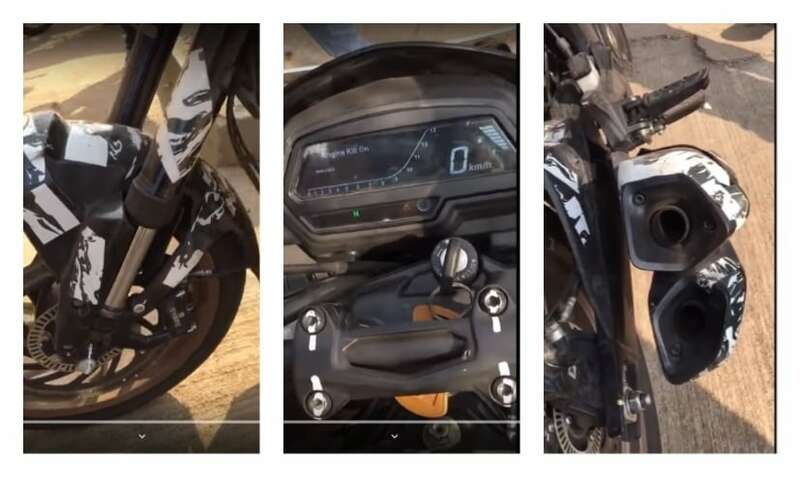 And now Bajaj is testing the 2019 Dominar with some significant updates. It is the flagship model from Bajaj and with the new model almost ready, Bajaj could launch the same in the coming months. A YouTube video reveals the changes on the 2019 Dominar which is wrapped in camouflage but there is no missing the overall design of the motorcycle along with the stance. The biggest update on the new Dominar is the upside down forks which look to be similar to the ones used on its KTM siblings. With the new USDs, expect the adjustment of the suspension to be different as well. The rear monoshock will be the same as the one on the current model. The other significant changes have been made on the digital displays. The instrument cluster has been redesigned and the tank mounted secondary display now reads out information such as gear position, time and the odometer. And lastly, the other big update is the side-mounted twin exhaust. It looks cool and will offer a meatier exhaust note. At present, the Bajaj Dominar gets a 373 cc single-cylinder engine which makes 34 bhp and 35 Nm of peak torque while being paired to a 6-speed gearbox. Expect the new model to get slightly more power and torque. Bajaj might also offer a dual overhead camshaft engine instead of the single overhead camshaft engine on the current model, keeping in mind emissions and efficiency and the fact that India will move to BS-6 norms as well. With the new model getting more features, expect it to be priced at a slight premium than the current model as well, whose prices start at ₹ 1.63 lakh (ex-showroom, Delhi).